"Good things happen when good people work together"
Location of Flora in Clay County, Illinois. Flora was founded by Samuel White. White was born September 10, 1831 in Warren County, Ohio. He and his family came to Clay County in 1852. During that time, he purchased 85 acres (34 ha) of land from the State of Illinois. His first wife, Sarah Ann Wall was born in 1833. Sarah died December 13, 1859 in Flora, and is buried in the family plot in Elmwood Cemetery. In December 1860, White married Helen M. Riggs in Flora. The original town of Flora was laid out, surveyed and platted in February 1854 by Ethelred Nixon, County Surveyor; John Brown, Trustee for Songer, Camp & Company; and Samuel White. It embraced eighty-five acres of the west half of Section 25, Township 3 north Range 6 east. Samuel White who still owned the land, deeded one-half interest in forty acres to John Brown, Trustee, with a view of securing the town and depot. An effort had already been made to establish a town one mile west called Mooresville, where over 100 lots had been sold and some buildings done. After the collapse of that village, the principal house was moved to Flora, and was then known as the "Commercial House." Samuel White also donated land to the City of Flora for several buildings and the city park. The City Park, at that time called the Public Square, is present day Library Park where Flora Public Library is located. White donated land for the 1st schoolhouse, the Baptist Church and parsonage. Land was also donated for streets and alleys of the original town of Flora. The city's founder died November 15, 1912 in Sterling, Colorado and was returned to Flora for burial in the family plot at Elmwood. Flora is located at 38°40.2′N 88°28.5′W﻿ / ﻿38.6700°N 88.4750°W﻿ / 38.6700; -88.4750 (38.6698, -88.4841). According to the 2010 census, Flora has a total area of 4.733 square miles (12.26 km2), of which 4.73 square miles (12.25 km2) (or 99.94%) is land and 0.003 square miles (0.01 km2) (or 0.06%) is water. As of the census of 2000, there were 5,128 people, 2,127 households, and 1,325 families residing in the city. The population density was 1,146.2 people per square mile (442.3/km²). There were 2,352 housing units at an average density of 530.1 per square mile (204.5/km²). The racial makeup of the city was 97.76% White, 0.18% African American, 0.33% Native American, 1.12% Asian, 0.04% Pacific Islander, 0.28% from other races, and 0.29% from two or more races. Hispanic or Latino of any race were 0.65% of the population. There were 2,127 households out of which 29.0% had children under the age of 18 living with them, 47.6% were married couples living together, 11.3% had a female householder with no husband present, and 37.7% were non-families. 34.3% of all households were made up of individuals and 19.2% had someone living alone who was 65 years of age or older. The average household size was 2.28 and the average family size was 2.92. In the city, the population was spread out with 23.5% under the age of 18, 8.7% from 18 to 24, 25.2% from 25 to 44, 20.8% from 45 to 64, and 21.8% who were 65 years of age or older. The median age was 40 years. For every 100 females, there were 83.1 males. For every 100 females age 18 and over, there were 79.8 males. The median income for a household in the city was $28,157, and the median income for a family was $36,313. Males had a median income of $30,867 versus $19,693 for females. The per capita income for the city was $15,653. About 9.5% of families and 11.3% of the population were below the poverty line, including 11.5% of those under age 18 and 14.0% of those age 65 or over. In September 1960, Flora was named "Ford Town USA" and some 1500 vehicle owners were supplied with a new Ford car or truck to drive during that week. Flora's main industry is agriculture, although there are companies located in Flora that employ several hundreds. Flora is surrounded by a gently rolling countryside, with approximately 80-85% of it dedicated to farming and livestock. The Flora B&O Depot was built in 1872 with generous help from local citizens. It served the City of Flora until 1916, when it was destroyed by fire. In 1916-1917, a new three-story brick depot was built. This building was a huge part of the economic life of the community during those early years. In the 1920s, the railroad employed half the wage earners in Flora. In 1924, three hundred employees worked at the local station. When the depot was completed in 1917, it contained three floors. The main floor was used for passengers. It had a large waiting room with a baggage room and restrooms. The Western Union office, yard office, mailroom and ticket office were also located on this floor. The second floor held the offices of important depot members. Men who occupied these offices included the chief clerk, division engineer, superintendents, dispatchers, carpenters, signal supervisors, train masters and road foremen, plus railroad law enforcement officers and the district’s own physician. The third floor contained large offices. Later, these offices became one social room. It was here that railroad employees and their families held potluck dinners and socials. Not only was the depot a hub of transportation and commerce, it was a center for much of the social life in the community. In the 1950s, as roads improved, cars became the chief means of transportation. Travelers no longer looked to trains as the primary source of transportation. The depot became less important to the community and the days of hosting 12 passenger trains, daily passing through Flora, became a fond memory. In 1998, the Flora B&O Depot was named one of three sites in Clay County on the National Register of Historic Places. With this recognition and the interest of many citizens of the community, the Flora Community Development Corporation (FCDC) purchased the depot from CSX Railroad. FCDC successfully obtained three federal grants to restore the building, matched by local donations of citizens. Today, the University of Illinois Extension Service rents the third floor. The second floor is a community room available to rent for various activities. The first floor houses the Flora Chamber of Commerce office, a museum containing city and county historical artifacts and two unfinished room available for occupancy. In 1987 a group of Flora officials formed the so-called "Barbed Wire Choir" and recorded a music video in an attempt to land a state prison. The song featured several city officials, including the mayor, asking then-Gov. Jim Thompson "Is we is or is we isn't/gonna get ourselves a prison." After being shown on local TV stations, the video gained the attention of national programs such as MTV, Good Morning America and The Late Show Starring Joan Rivers. Flora ultimately lost its bid to host the new prison. ^ "City of Flora, Illinois". City of Flora, Illinois. Retrieved August 31, 2012. 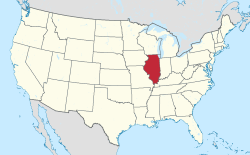 ^ "History of Flora, Illinois". Flora, Illinois - Founded 1854. Flora Public Library. Retrieved 21 July 2012. ^ "History of Flora Depot". City of Flora. Retrieved 21 July 2012.